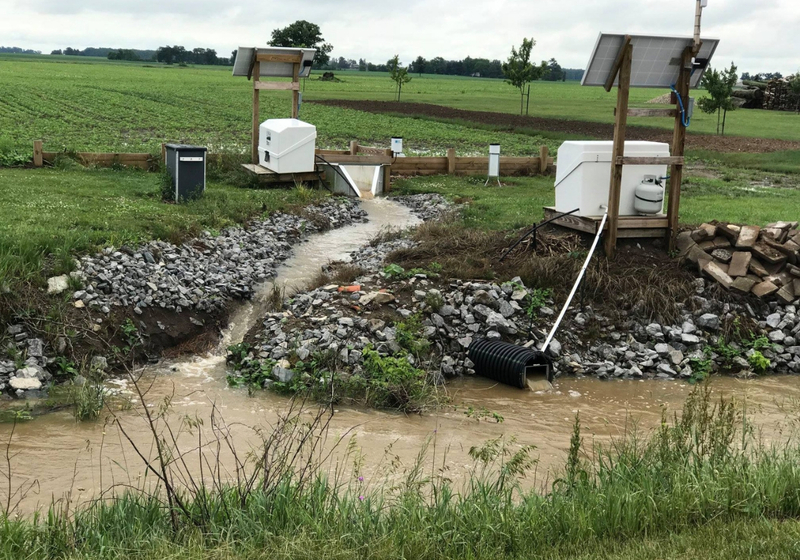 The Blanchard River Demonstration Farms Network (BRDFN) is an innovative way to gauge the true impact of crop nutrients on Ohio’s water and explore cutting-edge conservation technology. It was established by the Ohio Farm Bureau Federation and the USDA NRCS because keeping water clean is important to everyone. Now four years into the program, Aaron Heilers, BRDFN project manager, explains how the network came together, what they’ve learned and how it can help enhance farm conservation efforts within the state. Q: Tell us about the background and purpose of BRDFN. We’re funded via a Great Lakes Restoration Initiative Project grant and the Ohio Farm Bureau with the goal of using research to identify a suite of conservation practices that also make economic sense for farmers. Ultimately, we aim to help policymakers and the general public understand the true cost of conservation and how much farmers are doing to protect our waters. Q: Why did you choose farms in the Blanchard River Watershed? On-farm research is key to this effort. We looked closely at 30-40 farms in different watersheds, ultimately landing on three in the Blanchard River Watershed because of their connection to the Maumee River. Bill Kellogg, Chris Kurt and Duane and Anthony Stateler were selected based on their acreage (small to large), operation diversity, current conservation practices and ability to host farm tours and edge of field research stations. Q: Which conservation practices have the most impact on reducing phosphorus runoff? Edge of field monitoring shows that nutrient placement is key. 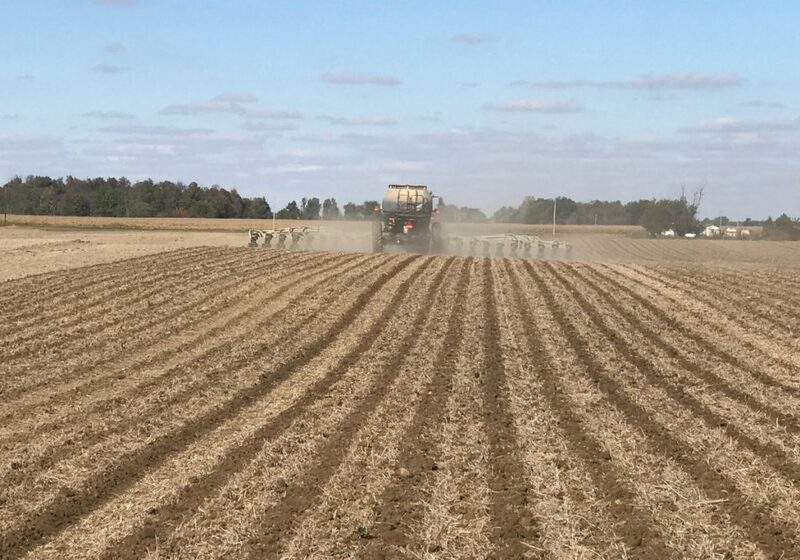 Incorporating phosphorus into the soil with a tillage practice like strip-till can reduce phosphorus runoff by 70 percent. It also makes a lot of economic sense. For example, Kellogg Farms cut their fertilizer costs 25 percent by putting nutrients in the strip where plant roots could access it more efficiently. After that, having plans in place for water management and reducing soil erosion go a long way. We’ve found cover crops are a great option to help soil absorb more water and keep it in place. However, they are more effective at fixing nitrogen in the soil than phosphorus. Q: What are simple strategies farmers can implement today that have a big impact? Consistent soil sampling every three to four years and using soil maps to accurately apply fertilizer in the right amounts is really important. Zone sampling gives the best picture of what’s in the field and how to boost productivity accordingly. Watching the weather forecast and not applying fertilizer right before rain is also key. A lot of nutrients are lost during heavy rain events. Just a couple of these per year can contribute to algal blooms. Following recommendations outlined in the Tri-State Fertility Guide and 4R Nutrient Stewardship principles – right rate, right time, right place, right type – also provide growers with an effective framework. Q: How can farmers learn more about different conservation practices and your research? Our website explores several options for water management, improving soil health, incorporating nutrients and more through videos, research and podcasts. We also host bus tours. I encourage farmers to check us out online and come out for one of our events. Discover what Ohio farmers are doing to lead the way in conservation and meet the growers who participate in the BRDFN. Photos courtesy of Blanchard River Demonstration Farms Network.